An inspiring, piercingly honest user's guide to life, written for the author's daughter and given to her on her first day of college, reflecting tough lessons about family, work, and marriage. You learn a few useful things in school -- the three Rs come in handy, and it's good to know how to perform under pressure and wait your turn--but most of what matters, what makes you into a functioning human being, able to hold your own in conversation, find your path, know what to avoid in relationships and secure a meaningful job, no teacher will ever tell you. 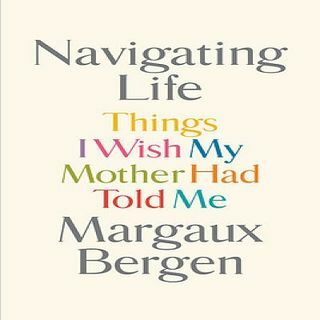 In NAVIGATING LIFE: Things I Wish My Mother Had Told Me, Bergen shares her own lessons learned in hopes that her trials and errors might benefit her daughter as she set off for college and prepares to navigate life for the first time on her own.